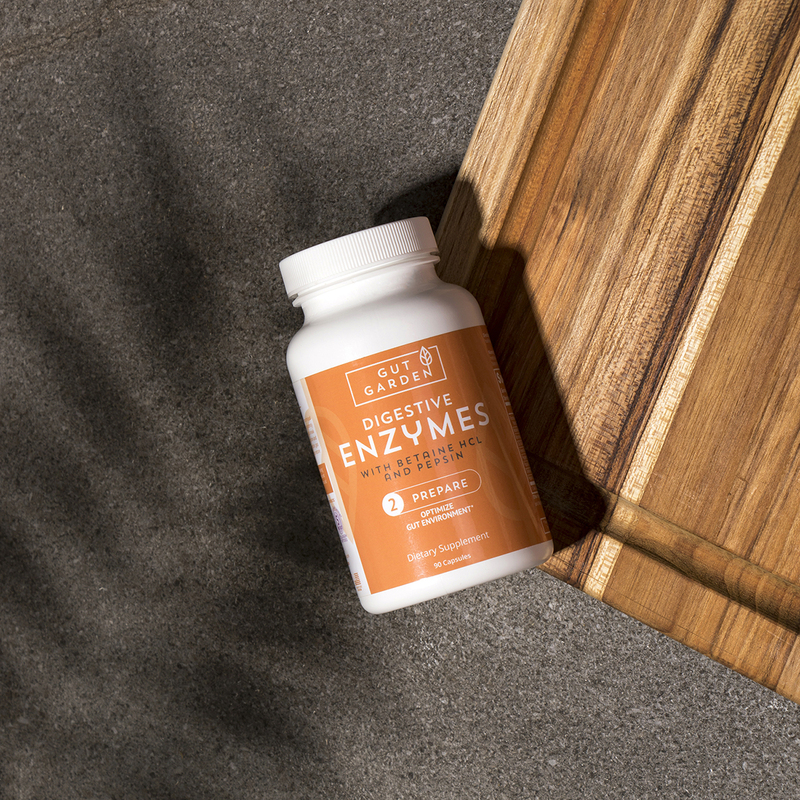 Replace digestive functions that may have been depleted or compromised over time with Gut Garden’s Digestive Enzyme Blend. 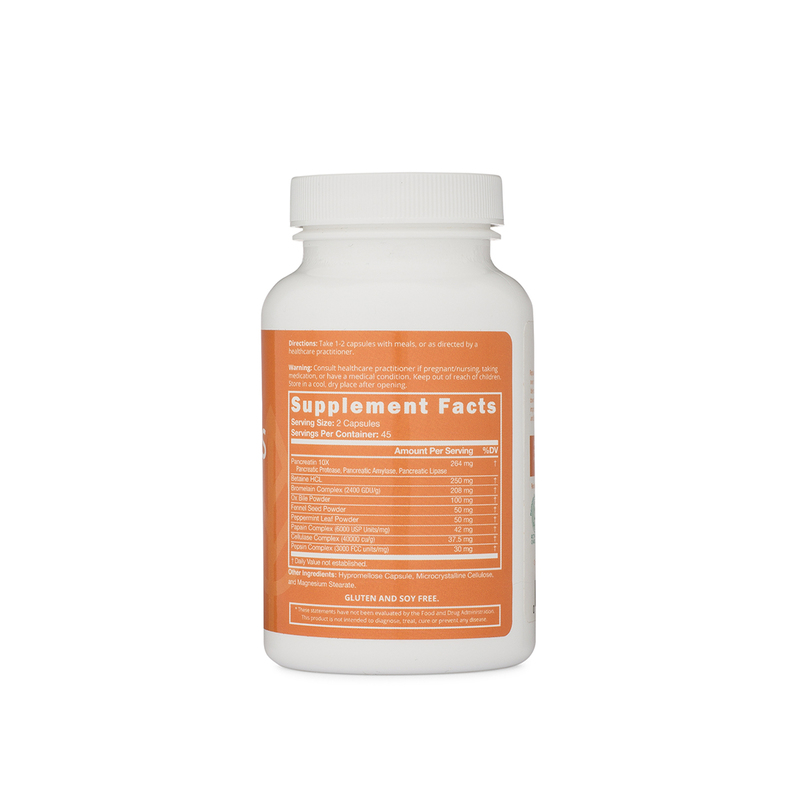 Our high-potency blend of enzymes, herbs, Betaine HCL and Pepsin is designed to break down fats, carbohydrates and proteins to support proper digestion and improve nutrient absorption. 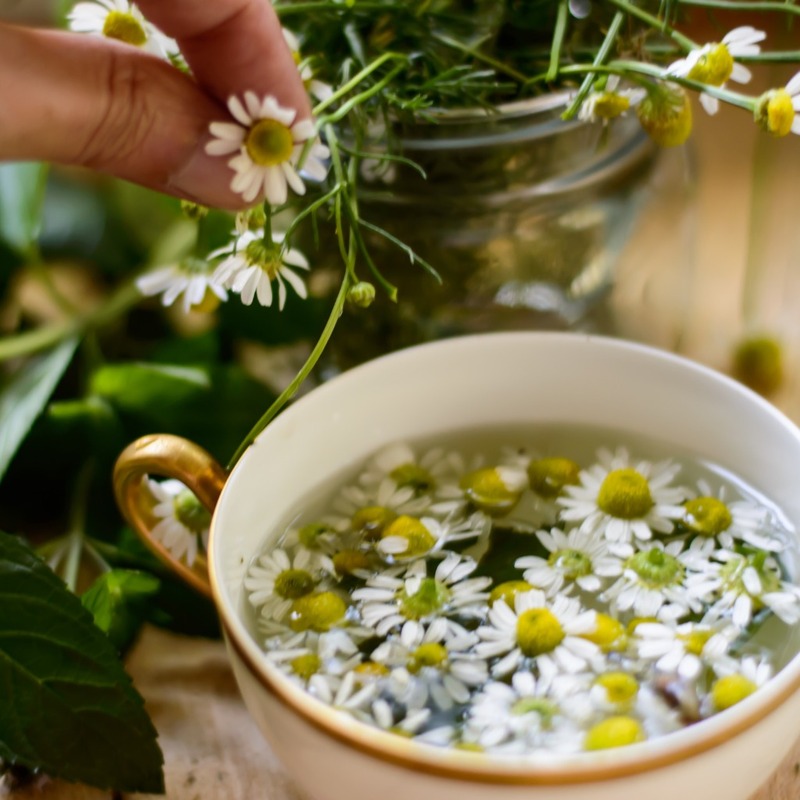 Use to resolve occasional indigestion, gas and bloating, or alongside Gut Garden’s other products to help restore gut health long-term.